From art museums and chic shopping boutiques to unparalleled beaches, New Jersey offers a range of enjoyable opportunities for everybody. Furthermore, the state has been home to some of the greatest minds, including Albert Einstein. However, amidst its glamour and glitz lies one of the same issues that other states face: alcohol and drug abuse. One of the areas that’s been affected by the drug epidemic is Edison-a township that’s less than 30 minutes from the NJ coast. While residents can enjoy its numerous parks and gardens, the township has a dark side. With a population of 101, 970, the city is facing an increase in substance abuse. In 2015, 106 drug-related deaths occurred in the Middlesex County with more than half being associated with heroin while the rest were from fentanyl, cocaine, oxycodone, and methadone. Nevertheless, various treatment options exist for those struggling with alcohol and drug addiction. NJ State lies between New York City and the Philadelphia metropolitan areas-two of the major hotbeds of drug consumption and trafficking on the East Coast. Consequently, the regions of New Jersey neighboring Philadelphia and New York City-Essex, Bergen, Camden, and Union are the most affected regions when it comes to the consumption and movement of illicit drugs. Both principal metropolitan regions are highly appropriate for supporting the illegal drug trade. High percentages of ethnic populations, plentiful transportation facilities, and various monetary institutions that permit the transportation of drug proceeds back to foreign nations, and a shortage of efficient drug education and rehabilitation services are a volatile combination. The number of ethnic groups, street gangs, drug trafficking organizations, and outlaw gangs that scheme to distribute illegal drugs into NJ produce a bewildering mix. Actually, Asians, African-Americans, Columbians, Mexicans, and Dominicans along with motorcycle and street gangs either compete for the business or cooperate. In the event that one group resolves to acquire extra territory, violence typically results. In NJ, drug dealers have shifted from New York City into the state’s rural areas and smaller towns. In an attempt to evade the higher law enforcement levels in the city, some seek new customers in formerly untapped markets, especially those peddling heroin. Drug trends reveal that cocaine costs have been varying in the past years presumably due to price manipulations or because there’s more attention on smuggling the drug to Europe, decreasing the supply to the Eastern Seaboard. A number of dealers have even resorted to dealing heroin rather than cocaine and some prescription abusers are turning to heroin because it’s typically cheaper. The outcome is more heroin demand and higher addiction rates and the need for addiction treatment. Like other areas in the U.S., there’s wide marijuana abuse, but it isn’t the most major drug threat in the area. Heroin is the primary threat while drugs like alcohol and prescription drugs following behind. Both heroin and cocaine are frequently involved in drug-associated deaths in the New Jersey-New York area. Over 1,000 people in this area died in drug-related occurrences in 2007. The major drugs involved were opiates, alcohol, cocaine, and benzodiazepines. Since 83% of the deaths were unintentional, overdoses can be presumed in most cases. Furthermore, most were multi-drug deaths. The only drugs responsible for single-drug deaths were opiates, for instance, heroin and prescription opioids. Unfortunately, NJ isn’t immune to the opioid epidemic that’s sweeping the nation. According to the CDC, illegal and prescription opioids claimed the lives of 1,972 residents. However, the powerful drugs aren’t uncommon killers. In 2016, 52 out of every 100 had prescriptions for opioid medications in 2016. Highly dangerous and addictive for anybody at whatever age, opioids are more harmful than good in NJ. In fact, the statistics are staggering. In 2014, 781 deaths from heroin overdose occurred in NJ according to reports. Currently, drug overdose is the principal cause of accidental death in the state and the rate of heroin overdose statewide is thrice the national average. In 2015, 69, 477opioid and heroin-related admissions took place; this accounted for 49% of substance abuse admissions. Reports reveal that the number of addicts keeps increasing among all populations, including children below 18. Research indicates that a path to heroin addiction among the state’s youth starts when parents take their children to their doctors or dentists. Dentists often prescribe opioids to alleviate pain associated with ordinary procedures, for instance, the extraction of wisdom tooth while physicians prescribe it to ease pain from injuries originating from simple accidents or athletic injuries. Some young adults and adolescents develop an addiction to painkillers once they’re on opioids long enough (at times, it only takes five days). Once the prescription drugs run out and refills are no longer accessible, those who have developed an addiction might turn to heroin. After all, heroin comprises similar chemicals as the prescription opioids they used to take under doctor’s orders. According to research, 33% of children below 18 have a higher likelihood of becoming heroin addicts as grownups if they obtain prescription opioids before graduating from high school. The national opioid epidemic has hit NJ especially hard. Annually, more individuals are developing opioid addiction and entering rehabilitation programs or dying as the result of addiction. In 2016, overdose-related deaths probably topped 2,000, killing more persons than auto accidents, guns, and suicide combined. Most of the deaths are overdoses with a link to fentanyl-a synthetic opiate, which is 50-100 times more potent than morphine. Physicians usually prescribe the opiate to terminally ill patients, for instance, those dying of cancer. It has made its way into illegal street drug because of its cost and availability. Furthermore, it’s easier and cheaper to manufacture than heroin, enabling numerous dealers to increase their product’s potency while increasing their profits. Due to its potency, users develop a physical dependence on the drug much faster in comparison with other opioids. Most fentanyl users don’t even know that they’re using the drug because dealers use it mostly to “cut” heroin. Reports reveal that dealers are becoming very intuitive and have started making fake prescription painkillers. A huge group of opioid users avoid heroin since they’re aware of the trend of dealers using the synthetic opiate to cut heroin. As a result, they try to stick to prescription opioids strictly. Statistics also reveal that opioid-related deaths are affecting millennials disproportionately. In NJ, more than 1/3 of opioid-related deaths were persons aged between 25 and 35 in 2016. Several of these young persons begin their drug use with prescription drugs, subsequently leading to illegal means of acquiring the drugs. Often times, physicians prescribe prescription painkillers to young people when they aren’t necessary. Reports indicate that the arrest of numerous doctors occurred statewide for reckless or deliberate illicit prescribing rates. One physician in Caldwell was arrested for managing an operation that channeled over 50, 000 OxyContin pills. Family physicians have also been caught prescribing themselves the synthetic opiate at alarming rates. In NJ together with numerous other states, law enforcement is uncovering schemes that enticed physicians to prescribe the drug. It’s imperative to lock up prescription drugs or ensure proper disposal after taking them. This is because most of the young people receiving treatment for opioids addiction initially discovered the opioid around the house, stole them from a cabinet, or received them from a friend who discovered them in their home. Beware that leaving medication carelessly around the home could imply life or death for your kids, or it could beginning of an addiction. Bear in mind that teenagers who abuse opioids have a higher likelihood of developing an addiction compared to grownups. In 2016, NJ saw a 40% increase in drug-related deaths; the spike resulted from fentanyl and heroin according to reports. The increase in deaths is consistent with a nationwide trend of drug abuse. Over 64, 000 persons died nationwide of drug-related causes. In the same year, 2,221 persons died from drug overdoses while in 2015, drugs were associated with 1, 587. While the opioid crisis is unprecedented in degree and destructive in intensity, experts recognize that response should be equally broad in intensity and scope. NJ is one of the leaders of opiate addiction nationwide, so various detox centers exist statewide. Regular opiate use will result in physical dependence even when prescribed by a physician. Opiate withdrawal includes various painful symptoms-cold sweats, crawling skin, vomiting, and joint aches, and restless legs. 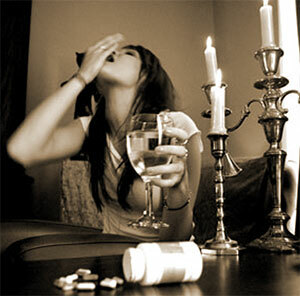 Once physical addiction takes place, it’s extremely difficult for the person to get off their preferred drug. In this case, the addict has two options. The first option involves going cold turkey where the person won’t use any medication to assist with the physical withdrawals. With this option, the person’s chances of eating, sleeping, or doing anything over the subsequent 3-5 days are minimal. This isn’t the ideal option, so most users prefer the second option, which involves entering a medically assisted detox center in NJ. There are various benefits to entering a detox center. To begin with, it will help you get off the drugs with negligible physical pain. Detox centers in NJ will use a blend of medications to help wean you off the drugs while providing a safe environment to get your life back on track. While New Jersey ranks below the national average in alcohol abuse and dependence, it doesn’t imply that alcoholism isn’t a problem statewide. In fact, it’s still one of the most mentioned drugs among those who seek admission for drug treatment in NJ. Alcoholism rips at NJ’s social fabric in various ways, ranging from the direct medical impact on the alcoholics to a diverse range of other negative outcomes for communities and families. Within families, alcoholism is responsible for high levels of divorce, domestic violence, and child abuse. Within the wider community, alcohol-related accidents and crimes affect the alcoholic and innocent victims. Annually, thousands of residents die or sustain injuries because of alcoholism effects. For this reason, effective treatment is a significant problem for us all. Underage drinking is a causal factor in various problems, including suicide, homicide, property crime, and traumatic injury. In 2013, underage drinking cost NJ’s citizens $1.6 billion. The costs include work loss, medical care, and suffering related to the various problems arising from alcohol use by youth. Alcohol is one of the most widely accepted and used substances worldwide. Consequently, its low prices, regular availability, and social acceptability have made the substance one of the most commonly abused. With the minimal stigma related to drinking, numerous alcoholics can go years without friends and loved ones noticing the extent of their drinking. This prevents users from seeking help at NJ’s detox centers. Alcohol withdrawal emerges from prolonged drinking. The process is painful and dangerous to go through alone or without the appropriate assistance that an NJ detox center can offer. Withdrawal symptoms can range from minor to life threatening depending on how long you’ve been drinking. Mild withdrawal symptoms include nausea, headaches, and vomiting while severe symptoms include hallucinations, extreme confusion, and delusions. While in an alcohol detox in NJ, you’ll obtain different medications to help alleviate the physical pain related to alcohol detox. Medications also help decrease the likelihood of a seizure. It’s advisable you enroll in a detox center, which will offer the consistent care and experience you need to help manage the dangers of detoxification. One of the major contributors to drug abuse in NJ is in numerous medicine cabinets. While these medications offer pain relief, the longer you use them, the more dependent you become on the drug. When this happens, you’ll require more of the drug for it to have a similar effect. It’s the growing dependence that results in overdoses, several of which have fatal outcomes. According to statistics, the number of admissions to treatment programs in NJ due to prescription drug use rose from 848 in 2001 to 8,676 in 2011. Nevertheless, various initiatives aimed at combating the epidemic have emerged in recent years. These comprise NJ’s Project Medicine Drop where people can drop off their old and unused prescription medications anonymously to safe locations in police stations. Other initiatives involve new regulations concerning the manner in which pharmacists prescribe painkillers. Entering a detox center for prescription drugs is the first step towards a better life for you and your family. The most commonly abused groups of prescription drugs include CNS depressants, opiates, and stimulants. The medications that fall under these classes of drugs are addictive and could cause huge difficulties in the lives of users. Furthermore, some of the medications can cause painful withdrawal if you don’t undergo detox. Bear in mind that the withdrawal from benzodiazepines and opiates is physically excruciating if they don’t take place in an inpatient detox center. When you enter a detox facility in NJ, you’ll obtain medications to help counteract the painful withdrawal symptoms from benzodiazepines and opiates. It’s important you locate the appropriate detox center in NJ for a successful treatment and recovery. Drug rehabilitation in Edison is available in numerous settings including inpatient, outpatient, and residential facilities. It’s important to consider the setting that will prove the most suitable program that will match your level of rehabilitation need depending on your history of drug use. Typically, the more severe your addiction, the more time you’ll spend in rehab. Outpatient rehabilitation isn’t a practical option because an addict requires a change of environment. Edison offers short and long-term rehabilitation where the former lasts 30 days while the latter 90-120 days. The short-term facilities are those that concentrate mostly on getting the individual through detox and withdrawal to maintain physical stability and sobriety thereafter. These facilities might include therapeutic methods and counseling while helping the addicts make lifestyle changes. On the other hand, patients in a long-term facility can succeed at long-term abstinence because they engage in treatment solutions that tackle the authentic reasons that led the person to drug use. Whether you decide to enroll in a short or long-term center, it’s important you recognize that merely detoxing and becoming sober won’t handle your addiction. This is perhaps the most common risk factor. Recently, geneticists have been able to adopt superior screening techniques to discover mutations related to addiction. Nevertheless, having a genetic makeup that increases your risk of alcoholism doesn’t imply that you’ll become an addict. Stressors can push somebody to self-soothe, hence increasing his or her likelihood of substance abuse. External factors that can drive you to alcohol and drug use include relationship issues and stressful environment. This stage frequently begins with a desire to experience a new thing. Experimentation isn’t always about having fun. For instance, you might try marijuana to alleviate pain from a chronic injury. If it’s effective, you’re likely to use it again once you experience similar symptoms. This stage occurs when you start incorporating the drug into your usual routines. In this stage, you begin training your brain to respond to the rewards associated with the drug use, for instance, pain relief and stress reduction. At this stage, your drug use may start affecting your grades, finances, and job performance. Furthermore, drugs start affecting your judgment, driving you to do things you’d never have done in the past. This stage occurs when the brain becomes highly accustomed to the sensations produced by the consumed drug. You become drug-tolerant when you find yourself requiring higher doses to experience noticeable effects. In this stage, dependence assumes a compulsive quality. You require the drug to function and you’ll do virtually anything to obtain it. An assessment offers guidance to the facility’s staff, enabling them to establish a suitable treatment plan. This phase involves obtaining information about a prospective treatment facility to establish whether it suits your needs. At this stage, you’ll provide information that offers insight into your medical history. You’ll undergo a screening test as well. This process helps with the management of withdrawal symptoms under the direction of a physician. This program allows you to seek treatment while residing within the facility. With this program, you’ll obtain treatment for your addiction while maintaining your ordinary schedule. This plan occurs after the completion of a treatment program, enabling you to maintain sobriety. These homes allow for the transition after leaving a treatment facility. They offer a safe environment that enables support from other recovering addicts. Although New Jersey remains a strategic location for drug distribution and trafficking, the state continues to implement various efforts aimed at controlling the epidemic.